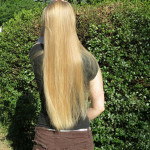 I am selling 10 inches at the shortest and 17 inches at the longest hair. 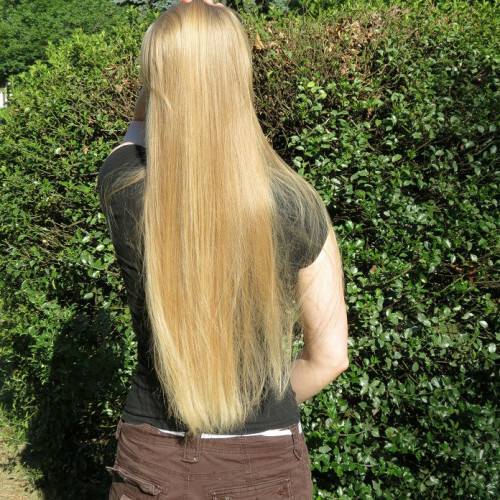 My hair is natural blonde, never treated with chemicals. I am not a smoker or drinker. Hair is 2.3 oz in weight and the circumference of the pony tail is 3 inches. Please contact with all offers and questions.